We’re a family friendly, traditional pub and restaurant with a huge beer garden, heated terrace (great for those lazy summer days) and a variety of play areas for the little ones (giving you a well-deserved minute’s peace or two!) We’re situated just a stone’s throw from Ampthill, Bedford, and local villages, surrounded by the fields of Houghton Conquest. The really friendly waiter made the experience more enjoyable. Good food, reasonable price and really nice playground for the kids. We'll be back. Staff very friendly and attentive. The service was good and food was lovely and generous portions. Very friendly staff, excellent food and very comfortable atmosphere. Would recommend this place to everyone I know and will definitely be a frequent visitor. 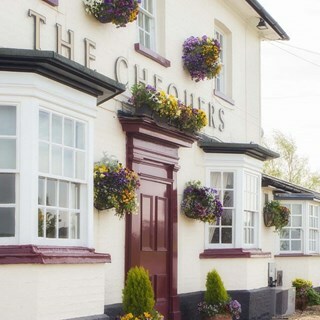 The Chequers dealt with us very well, being a large group and having some extra numbers at the last minute. The beer garden and play equipment was perfect for all the children. We had a lovely celebration meal for the baptism of our daughter, and the venue served very well. We hosted our wedding reception here and from the moment we showed interest until the day after the reception and our decorations were packed up for us in a box the staff were exceptional. Alan and the rest of the team were very easy to work with and I was very impressed with the quality of the food. Guests all loved it and an amazing day was had by all. We can't thank you enough!! Friendly, welcoming staff and great food. Lovely friendly traditional pub, a rare find these days! We thoroughly enjoyed our evening. Thank you to the chef and the waiter. Atmosphere scored 5 even though it was quiet because that's difficult without more people and you can't drag them in from the street! The waiter was pleasant, discrete and efficient and all four of us enjoyed our meals. We have visited you intermittently over the years and never been disappointed. Always so accommodating with changes - last night for example last minute additions dealt with smoothly and menu requests not a problem. 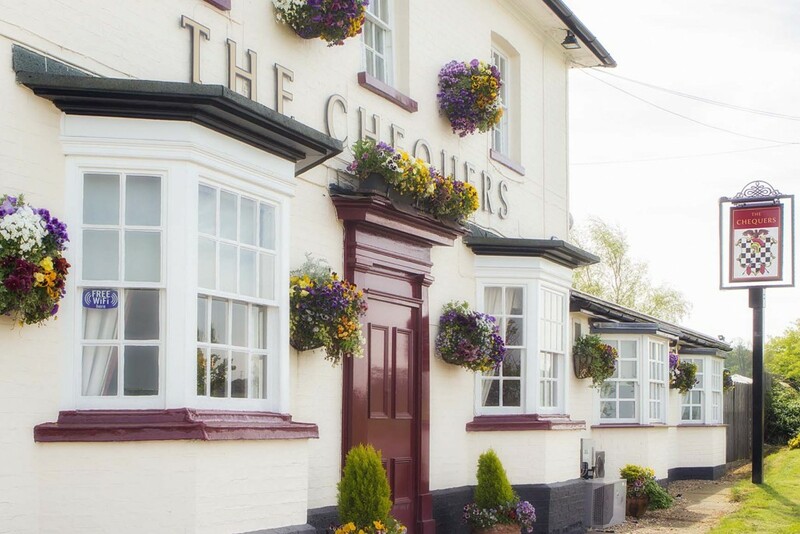 Really enjoy the atmosphere, food and service at The Chequers - never disappointed and always attentive service to ensure a great experience. Thank you do much for making Dad's 80th birthday very special. Went for lunch with friends, instead of usual dinner. Great food and service as usual. Excellent meal friendly and helpful staff.great value...and the steak was perfect.see you all again very soon jim.